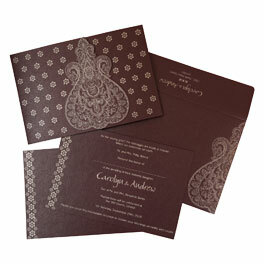 Announce your Rustic theme weddings with the best selling Rustic weddings invitations catalog of 123WeddingCards. These Country wedding invitations are the best tool to make a declaration about your wedding theme to your guests and the rustic theme is in the trend these days. Rustic themed weddings are well accepted and appreciated by the citizenry throughout the world. 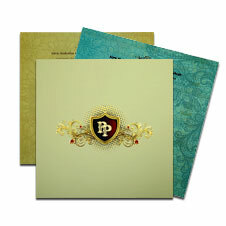 So earmark your love on this wedding season with fancy wedding invitations. You can also add a countryside rustic weddings touch, where you can witness grasslands, misty air, romantic atmosphere and you two celebrating love and togetherness. Shop your rustic wedding invites that compliment your rustic wedding theme completely. Above all, we give you the facility of customization as well as you can get your unique wedding Invitations according to your personal preferences. Our skilled team of designers and manufacturers will dedicate themselves fully to meeting out your expectations and serving you with the best of products.